This is Louisa! 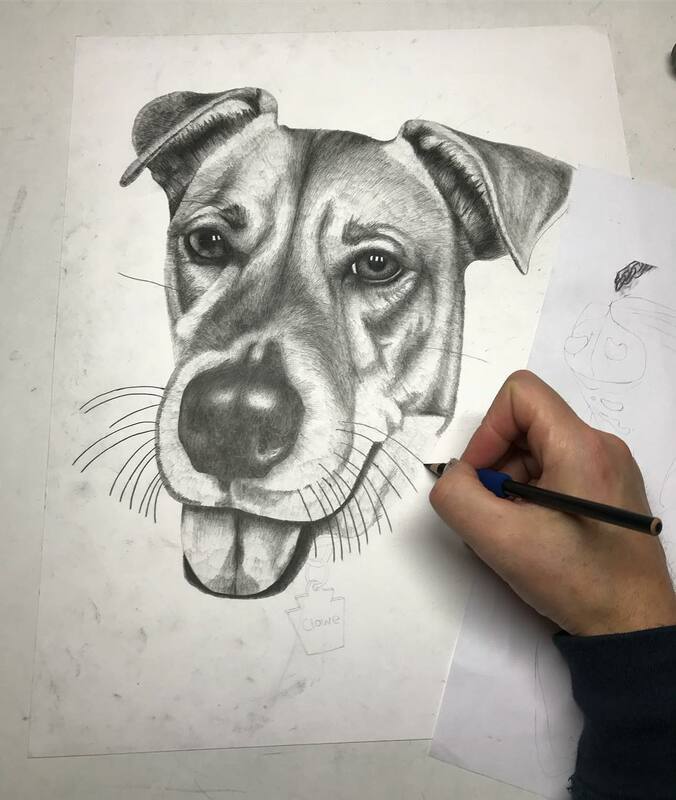 Her portrait will be in my "Dog Show" coming this January 12Th at Cafe Lift in Philly. 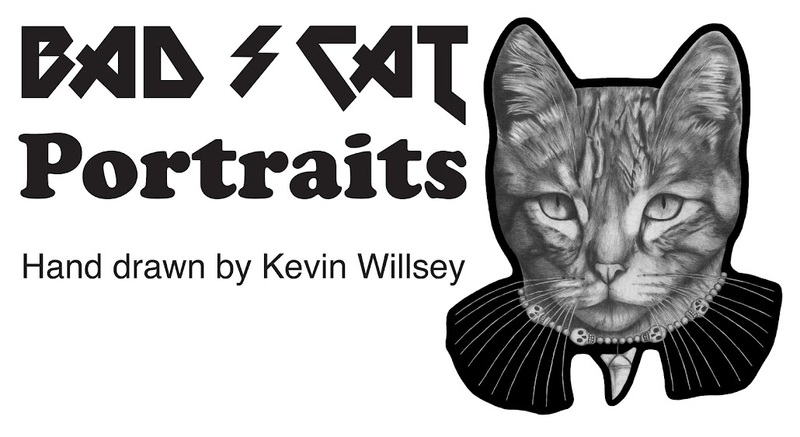 Get breakfast and coffee and check out my dog portraits. The show will be up till February 28th, yea! 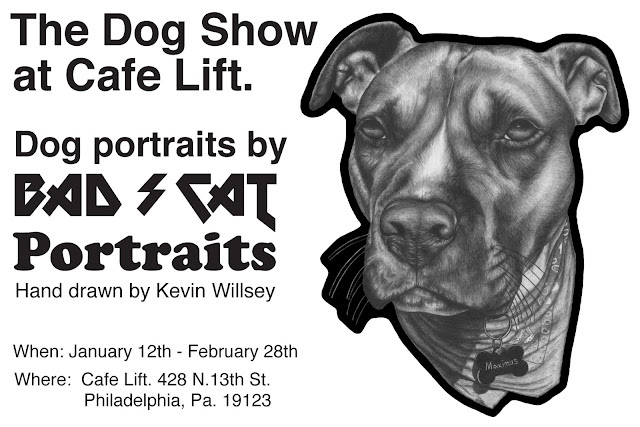 I'm on the final dog portrait, Louisa, for my "Dog Show" coming this January 12th at Cafe Lift in Philly. 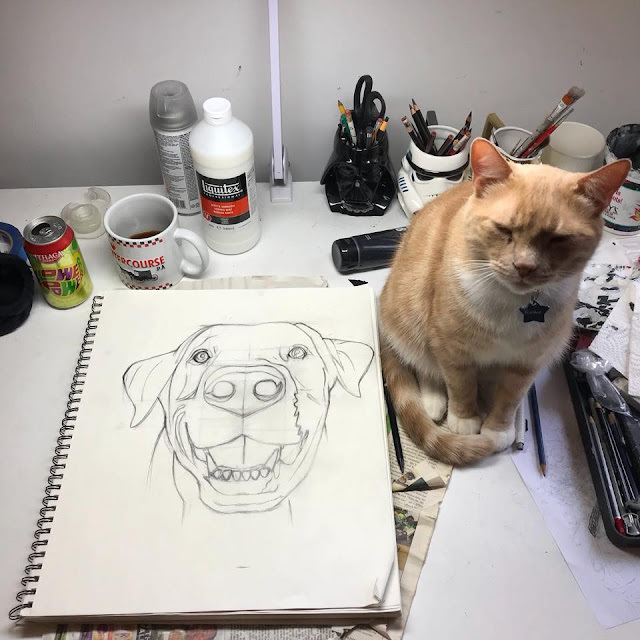 I'm sketching out a new dog portrait with a little help of a friend. Here is Clowe. Clowe's dog portrait will be at my "Dog Show" at Cafe Lift in Philly, Jan. 12 to Feb. 28. 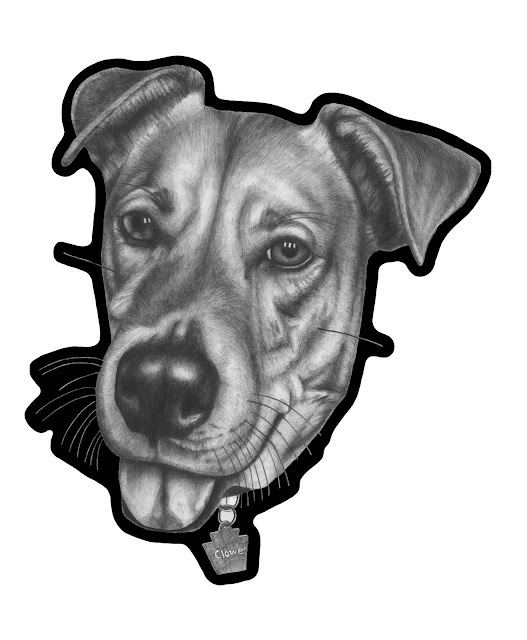 Come out to see all the dog portraits and eat delicious brunch! I'm at the drawing table. 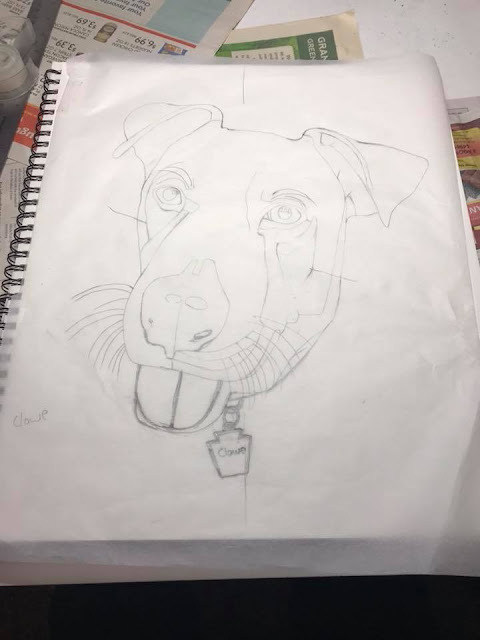 This dog portrait is of Clowe. 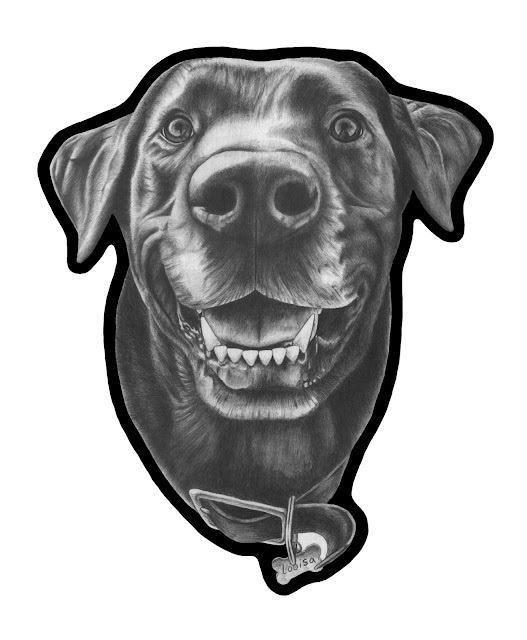 Only a few more dog portraits to go before I hang them for my "Dog Show" at Cafe Lift next month. January 12th is when it starts. 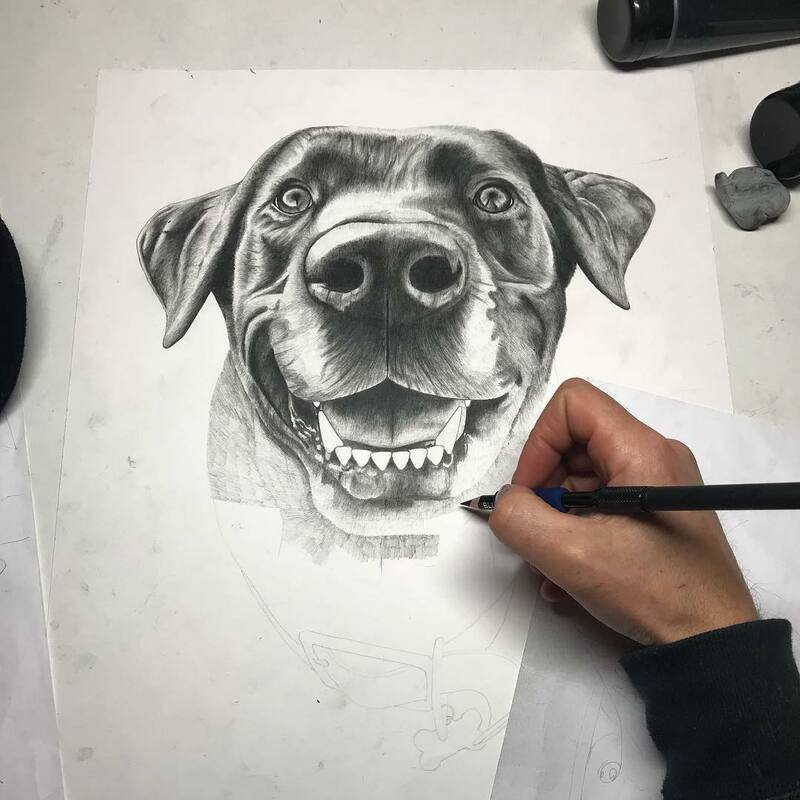 I'm putting down the line work for a new dog portrait of Clowe. This is Kira! She was Max's friend for a camping and hiking weekend this past summer. 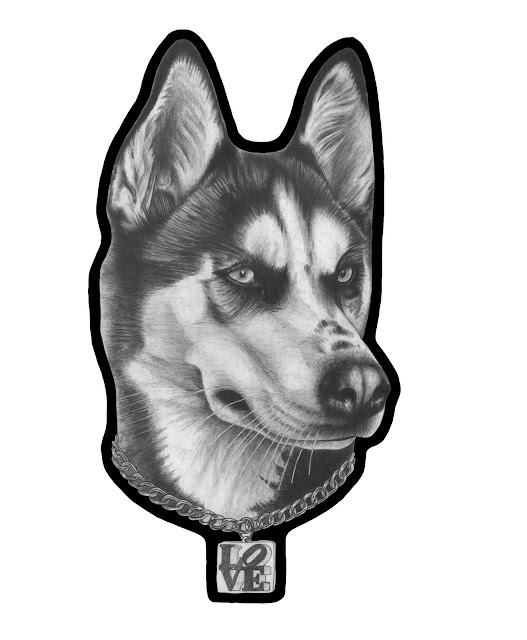 Kira is from New York. Look for her in my dog portrait show coming this January 12th at Cafe Lift in Philly.